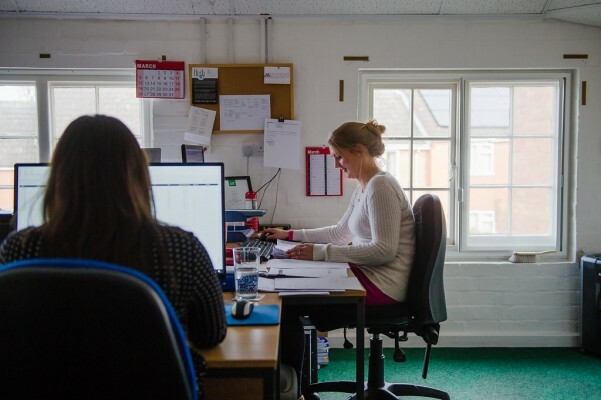 At The Hollies Bookkeeping we can assist with all payroll matters, including Employer PAYE registration, running of weekly or monthly payroll including tax and national insurance calculations and production of payslips together with all filing requirements. All employees like to rest assured that they are being paid correctly, so payroll errors can therefore be costly, and a cause for anxiety or distress among employees. We are able to offer a full and complete payroll service, thus removing the stress and responsibility from you as the employer, and also freeing you from the time taken to rectify any problems. We calculate all net pay, sick pay, maternity pay, and holiday pay, and provide payslips for all employees on a weekly or monthly basis. Forms P45, P60 and other administrative functions are all taken care of. We provide P32 (PAYE BOOK) charges, calculating the correct liability due on a weekly or monthly basis. What then do we offer? Simple, effective , hassle free solutions. A service for busy employers, where we do the work and you do the business. Simple low cost solutions for payroll runs from a few individuals to many. We have no hidden costs, will not try to blind or bluff you with regulations and problems, and you will find that we are here to help your business succeed. Payroll can be done on SAGE Payroll, Sage Cloud Payroll, or Xero Payroll dependent on your requirements. Sage Payroll has automatic software updates as standard, including the latest tax year updates. Payroll can be run accurately and efficiently, payments and deductions including PAYE, pensions and Statutory sick, maternity and adoption pay can be calculated automatically and employees can be paid directly if set up through E-Banking. At The Hollies Bookkeeping we use Sage Payroll which takes the hassle out of keeping HMRC PAYE data up-to-date. Data can be collected straight from the HMRC Secure Mailbox, and starters, leavers & Real Time Information (RTI) can be submitted direct from the software. Meeting obligations as an employer can be incredibly daunting especially with the introduction of Real Time Information. RTI means employers will now share information with HMRC on-or-before payments are made to employees. Here at The Hollies Bookkeeping Services we are aware of the changes and uses HMRC-approved, RTI-compliant payroll software. We have been trained using SAGE RTI payroll software. Throughout the year, we will calculate your employees’ net pay, report the figures and information to HMRC and provide you with payslips to pass on to your staff. We can calculate the tax and National Insurance deductions applicable; even if your employees are on sick, paternity, maternity or adoption leave. We can also help you to keep track of their holiday entitlement and can file all the starters and leavers forms on your behalf. Late payments or underpayments of employers’ deductions can now lead to hefty penalties, so we can help you avoid incurring these. We can file all of your in-year and year end returns for you with HMRC and provide you with P60s to distribute to your employees at the year end.